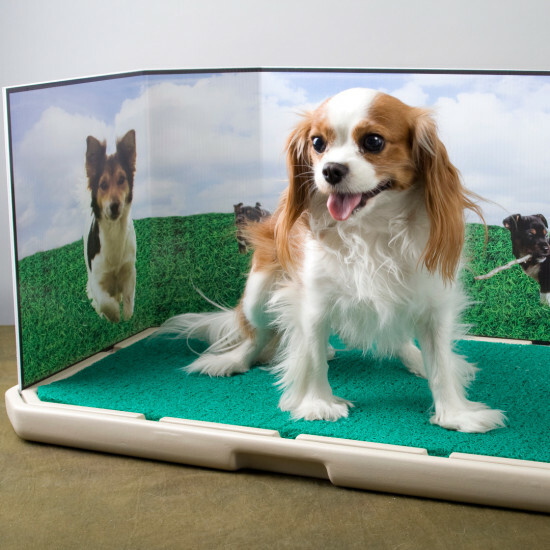 The Piddle Place Replacement Grass Turf is specially designed to fit your Piddle Place portable pet potty. 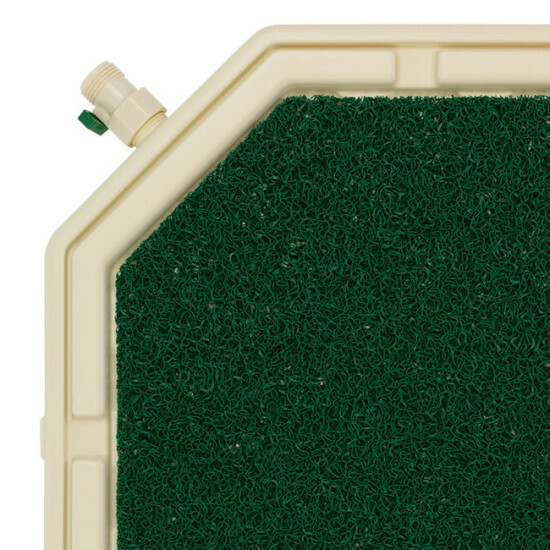 The porous grass turf sits on top of the raised grooves on the Piddle Place base, allowing pet urine to quickly drain through the mat and into the reservoir. 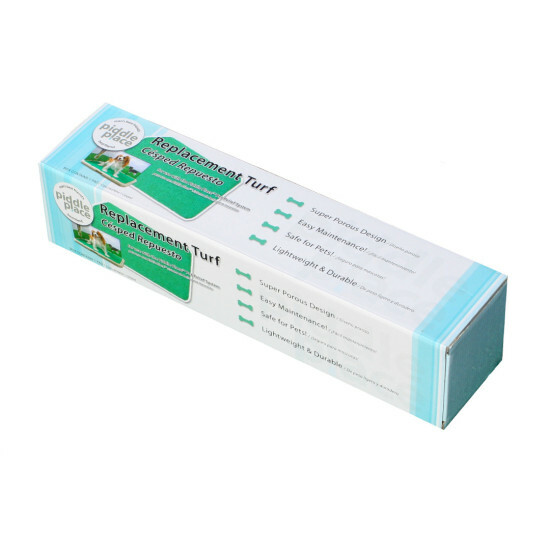 This keeps your pet's paws dry and locks away odors. 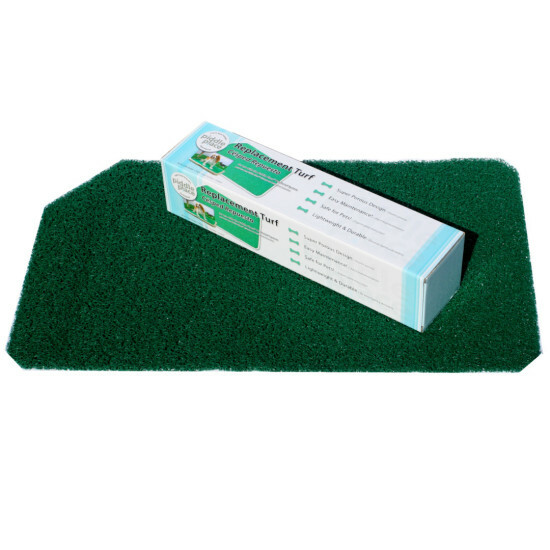 The mat is made of a durable material that is soft on your pet's paws and easy to clean. Simply spray the mat as needed with water or Piddle Place Bio+ Turf Treatment, or you can toss it in your washing machine for hands-off cleanup!